Bike Pic Dec 23, ice cream smiles Sunday creates fond memories! 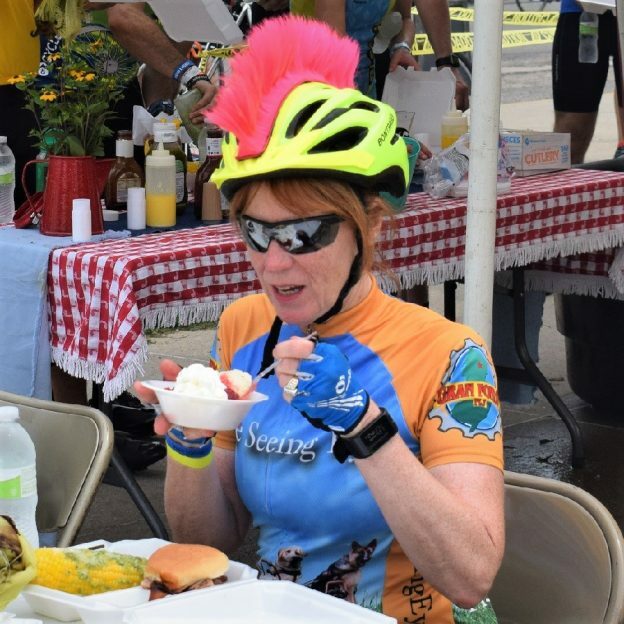 On this bike pic Sunday, we found this biker chick enjoying a tasty treat on a stop along the ride across Iowa on RAGBRAI. 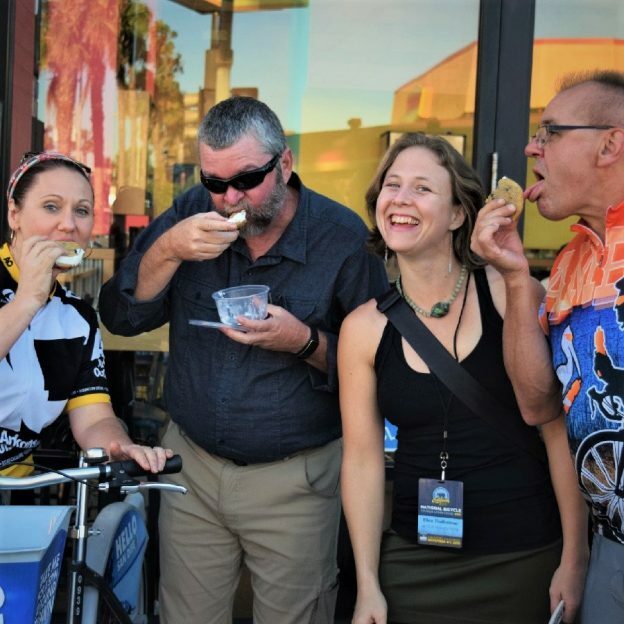 Now rolling into our 11th year as a bike tourism media, our goal is to continue to encourage more people to bike and have fun. While highlighting all the unforgettable places for you to ride. As we continue to showcase more destinations you can have fun at, we hope the photos we shoot are worth a grin. As you scroll through the information and stories we have posted, enjoy! This entry was posted in Picture of the Day and tagged Bike Ride, biker chicks and dudes, biker dude, ice cream, Ice cream smiles, Ice Cream Smiles Sunday, pic of the day, Sunday, sunday fun day, sunday smiles on December 23, 2018 by Russ Lowthian. Bike Pic Dec 9, fond ice cream smiles Sunday memories! On this bike pic Sunday, looking through the archives, we found these bikers enjoying a tasty treat after a hard days ride across Iowa on Ragbria. 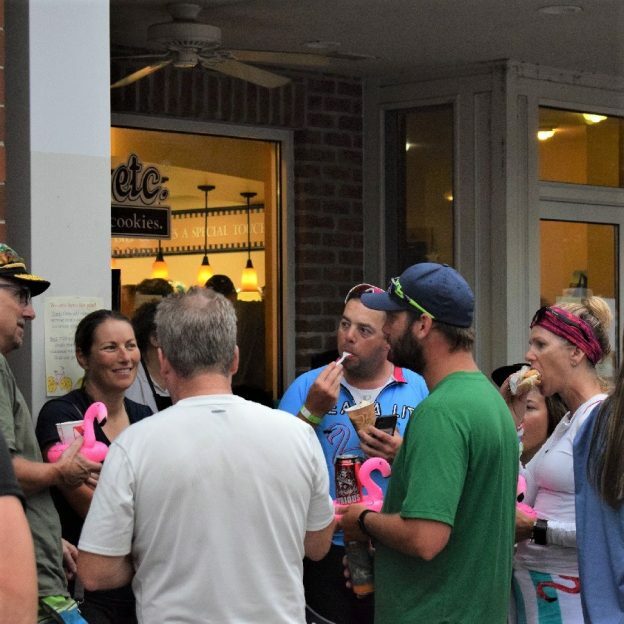 This entry was posted in Picture of the Day and tagged Bike Ride, biker chicks and dudes, biker dude, ice cream, Ice cream smiles, Ice Cream Smiles Sunday, pic of the day, RAGBRAI, Sunday, sunday fun day, sunday smiles on December 9, 2018 by Russ Lowthian. Its Ice Cream Smiles Sunday around the world. 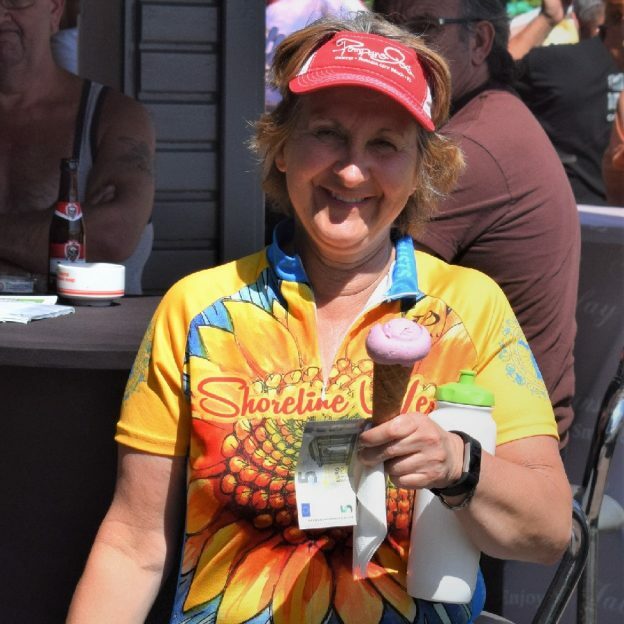 Here in the Netherlands this biker chick stops along the canal route to enjoy a creamy cool treat before resuming her bicycle ride. Here in the U.S., plan your next outing with family and friends at a HaveFunBiking Destinations. View all the fun ideas and bike destinations in the latest Minnesota Bike/Hike Guide. 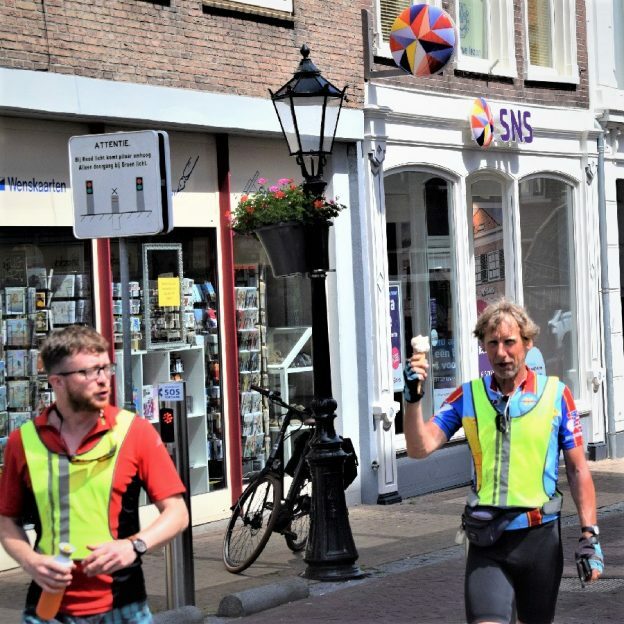 This entry was posted in Picture of the Day and tagged bicycle adventure, canal trail riding, cool treats, European canal bike trails, fun bike picture, ice cream, Ice Cream Cone, Ice cream smiles, Ice cream Sunday, Icecream of Instagram, Sunday on October 21, 2018 by Russ Lowthian. 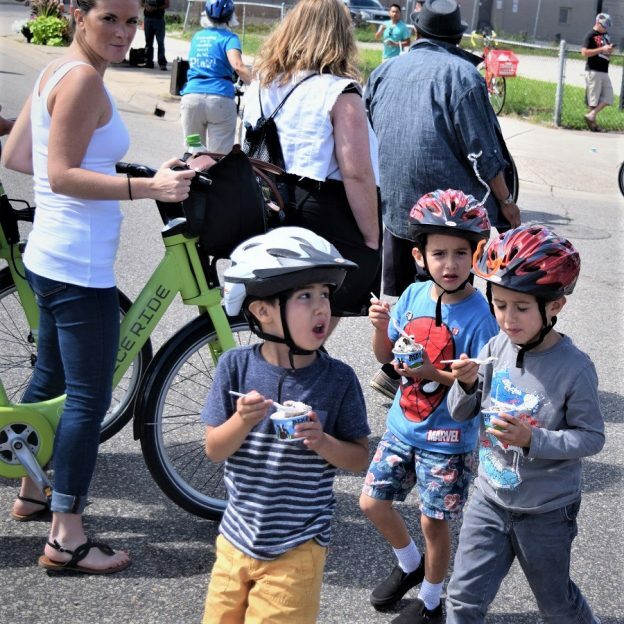 This bike pic, when Ice Cream Smiles Sunday falls on Open Streets Minneapolis it’s a special treat, especially when Ice cream is being served. So check out their schedule, pump up the tires and plan your #NextBikeAdventure with a stop at your favorite ice cream shop or Open Streets. Plan your next outing with family and friends at one of Minnesota’s HaveFunBiking Destinations. View all the fun ideas and bike destinations in the latest Minnesota Bike/Hike Guide. 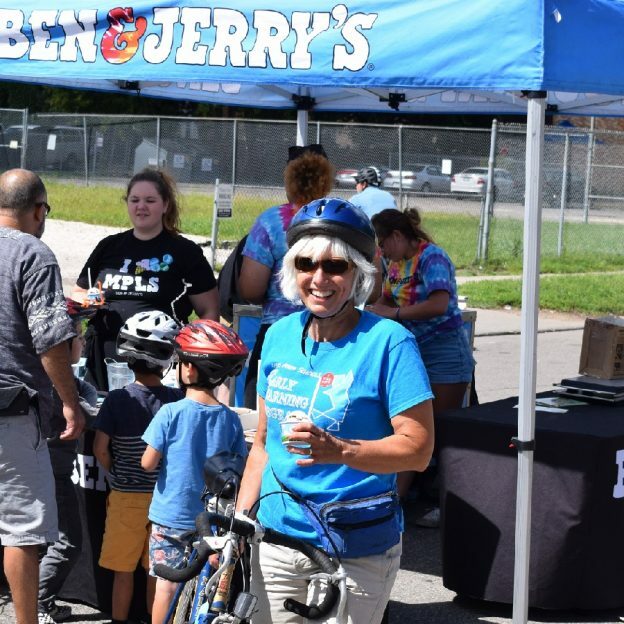 This entry was posted in Picture of the Day and tagged #nextbikeadventure, #yum, #yummy, Ben & Jerry's, community event, ice cream, ice cream of insta, Ice cream smiles, Ice cream Sunday, Icecream of Instagram, Minnesota event, Open Streets Minneapolis, Sunday on August 5, 2018 by Russ Lowthian. 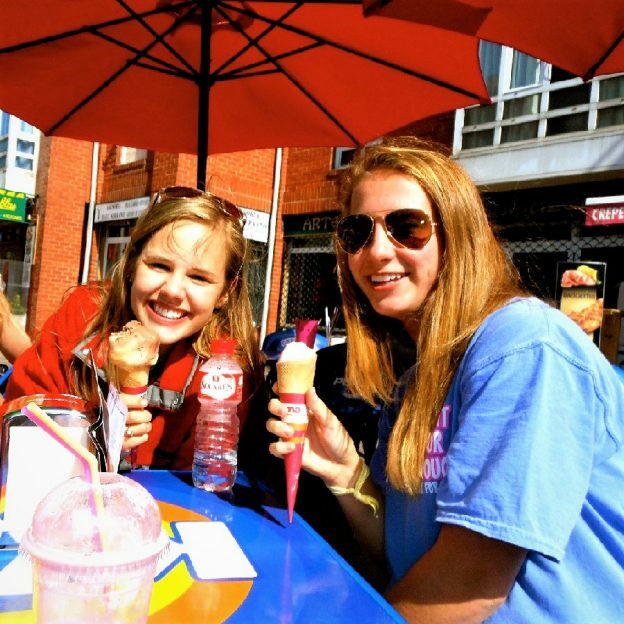 Its a picture perfect day and ice cream smiles Sunday is around the world. Here in Minnesota, at an Opens Street Minneapolis Event, these young bikers are a bit envious of each others flavor choices. After stopping at your favorite ice cream shops. Plan your next bike outing with family and friends with the latest Bike/Hike Guide from HaveFunBiking. 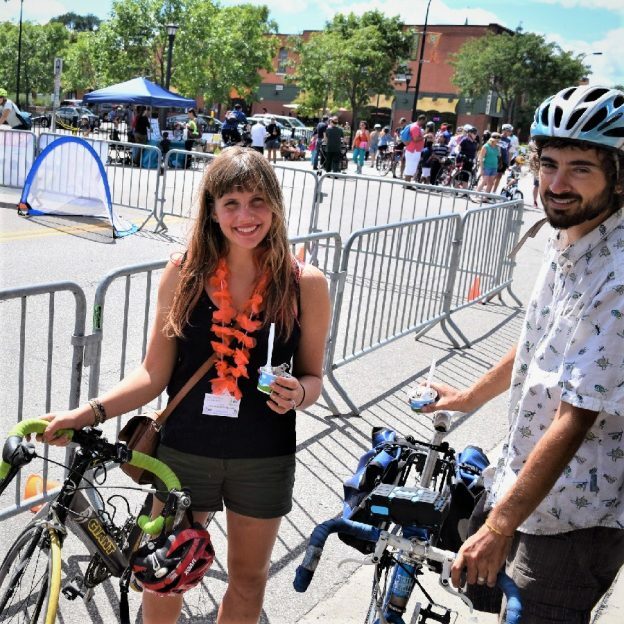 This entry was posted in Picture of the Day and tagged bicycle adventure, bike minnesota, cool treats, family fun bike memories, fun bike picture, ice cream, Ice Cream Cone, ice cream sandwiches, Ice cream smiles, Ice cream Sunday, Icecream of Instagram, Open Streets Minneapolis, Sunday on June 3, 2018 by Russ Lowthian. Its Ice Cream Smiles Sunday around the world. Here in Minnesota, at a Opens Street Minneapolis Event this biker chick and dude stops to smile and enjoy a creamy cool treat before resuming their bicycle ride. Here in the U.S. this Memorial Day Weekend plan your next outing with family and friends at a HaveFunBiking Destinations. 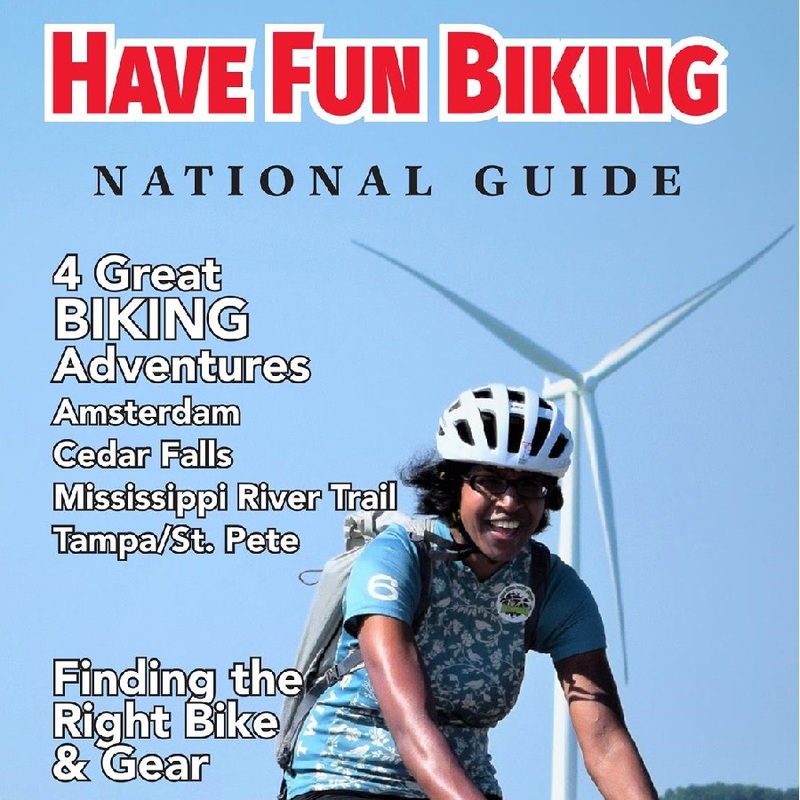 View all the fun ideas and bike destinations in the latest Bike/Hike Guide from HaveFunBiking. This entry was posted in Picture of the Day and tagged bicycle adventure, bike minnesota, cool treats, fun bike picture, ice cream, Ice Cream Cone, ice cream sandwiches, Ice cream smiles, Ice cream Sunday, Icecream of Instagram, Open Streets Minneapolis, Sunday on May 27, 2018 by Russ Lowthian.